The raw material was obtained only from 100% tanned and split leather, Is complete organic matter. 「Hydrolyzed leather meal」 is animal organic matter, obtained only from 100% Steamed Leather Meal is complete organic matter. Raw materials heated under saturated steam condition to a temperature not less than 133℃ and absolute pressure 3~5㎏/㎝2 for a minimum of 20 minutes. Matching the laws standard of Japan and OIE. 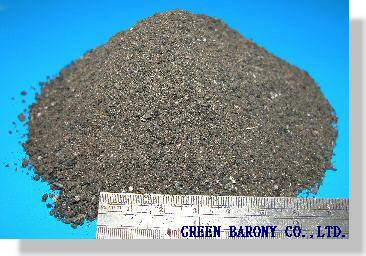 Then pass them through 6-7㎏/㎝2of 150℃~160℃,dehydrate and dry. 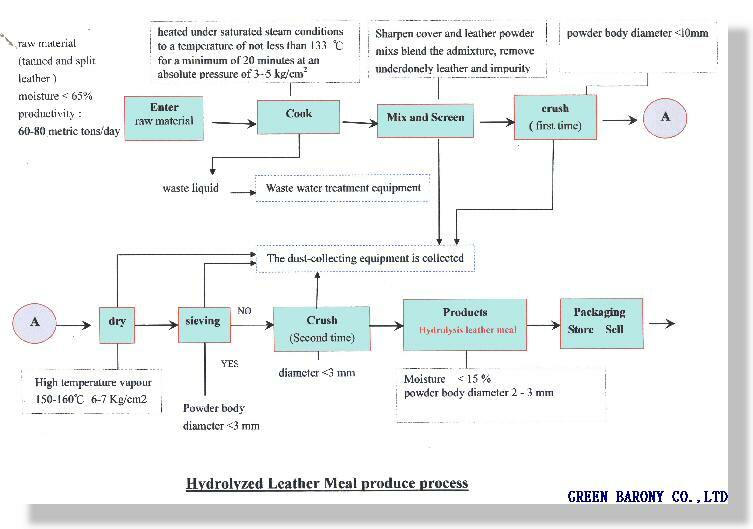 Steamed Leather Meal under high term processing of the quality becomes the「Hydrolyzed leather meal」. Steamed Leather Meal under high term processing of the quality becomes the「Hydrolyzed leather meal」. 「Hydrolyzed leather meal」 contains abundant of protein, nitrogen and organic materials that can be used as animal feed (provide the protein source) or Fertilizer of the plant (provide the nitrogen source). The 「Hydrolyzed leather meal」 can increase in be used as the source of the protein in the animal feed of (livestock and fowl), product of the animal feed of the source of the animal. 「Hydrolyzed leather meal」 is animal organic matter. Pass the raw materials through the cook machine at high temperature of not less than (133℃ ) and high pressure 3bar (3-5㎏/㎝2) for a minimum of 20 minutes. Then pass them through the dry machine at 6-7㎏/㎝2of 150℃-160℃. Dehydrate to dry. So the final product can positively the worry free of all infectious diseases of concern (Such as Foot and Mouth Disease and Bovine Spongiform Encephalopathy).